By age group, between 2010-2016, the annual number of HIV infections decreased among persons aged 13–24 and 45–54 but increased among persons aged 25–34. 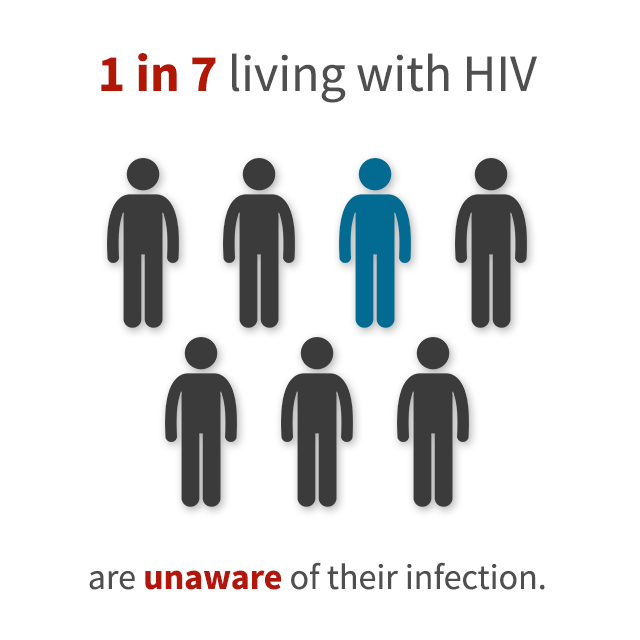 The number of infections remained stable among persons aged 33-44 and ≥55 years. Young people were the most likely to be unaware of their infection. In 2015, among people aged 13-24 who were living with HIV, an estimated 51% didn’t know. 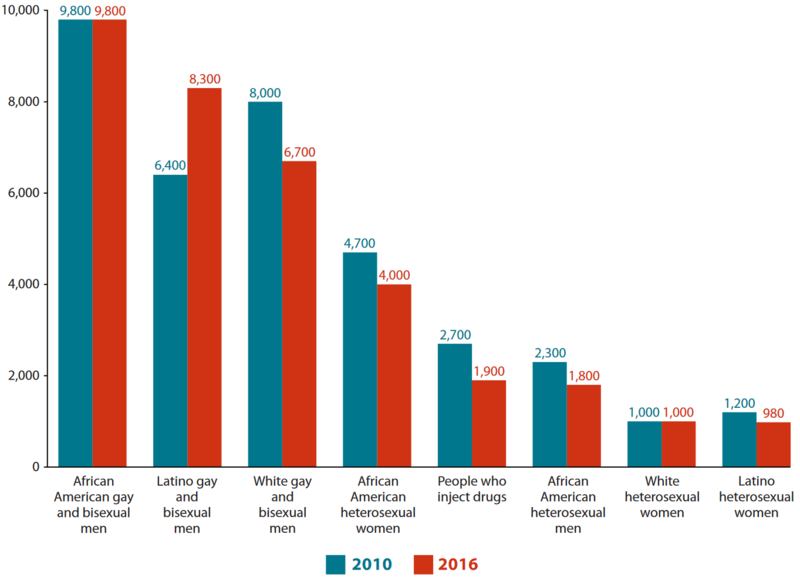 e This does not include gay and bisexual men who reported injection drug use. CDC’s HIV surveillance fact sheet provides more information about how CDC classifies the transmission category for HIV cases.